Updated Thursday February 21, 2019 by Greenbelt Registrar. 2019 Fall Soccer Season Registration is opened! The Greenbelt Boys and Girls Club will not provide a spring soccer session in 2019; however track and field and flag football will be available for full participation. We need coaches for the soccer program. Let's keep the youths active and vibrant. Any parents or friends who are interested in volunteering their time to coach youths, please feel free to contact the Commissioner, Louis Saint-Felix at Lsaintfelix@yahoo.com. I will help you throughout the entire process. The season starts in March. Please do not wait until then. The Greenbelt Boys & Girls Club Soccer Program provides recreational soccer opportunities to boys and girls ages 6 to 14. The program focuses on developing the foundation skills of soccer (dribbling, ball control, turning, shooting, passing and heading) and on learning the rules of the game, while promoting fun, teamwork, respect, and leadership in a competitive playing environment. All soccer coaches in the program are county certified. 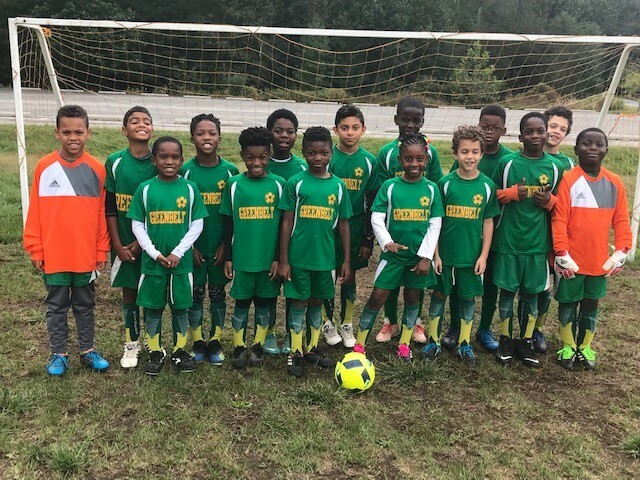 Our soccer teams play against other Boys and Girls Club teams in leagues spanning the Prince Georges County. League play offers two fun-filled seasons with the Spring season starting in early April and the fall season beginning in early September. Registration for each season opens approximately four weeks prior to the start of the season. During this pre-season period, registered players are assigned to teams and coaches begin holding practices. Practice schedules and field locations vary by coach and age group, and are announced during the pre-season. The duration of the seasons is from 6 to 8 weeks in length. Parents must provide their children with the appropriate soccer gear, including: soccer cleats and shin guards. Parents must also obtain a Maryland state identification card from the MVA, it is the only form of identification the county accepts. Code of Conduct: All parents must must sign a code of conduct before their child/children can participate in soccer practice. MVA ID Card: All athletes must obtain an MVA ID card at the Motor Vehicle Administration. Parents should bring a copy of the child's birth certificate, social security card, and a parent's identification. The MVA ID will be turned in to the commissioner at uniform pickup. No players will be allowed to play during the season without the MVA ID card.